Apple has just expanded its trade-in program to let you trade in your Android phone to get credit when buying an iPhone, encouraging Android owners to defect to the dark side. The extension to the iPhone Reuse and Recycling Program also applies to Blackberrys and Windows Phone devices, and will be available to Apple Store customers in the US, UK, Canada, France, Germany and Italy. In exchange for your precious (or not-so-precious, as the case may be) Android device, you'll receive a gift card that can be used exclusively in the Apple Store. Apple has allowed iPhone owners to trade in their devices for part exchanges since 2013, but this new service is a bold move to convert Android owners over to Apple. This isn't the first time Apple has directly attempted to entice Android owners. Apple's support page gives step-by-step advice on how to move all your important data from an Android device to an iPhone. We know that there's no way AndroidPIT readers would defect to Apple (or would you? ), but what do you think happens to Android phones when they get traded in? Incineration, perhaps? 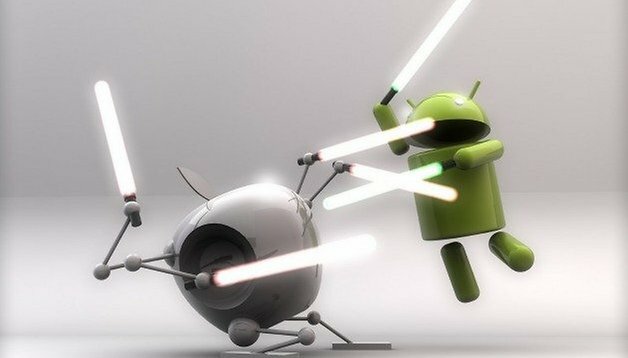 We know that Apple reuses materials from traded-in iPhones, but we'd like to know if Android phones meet the same fate. We quite like the idea that Apple employees are surreptitiously using traded-in Android phones for themselves, unable to resist the customizability and variety of the Android platform. We've got in touch with Apple to ask about the trade-in values of Android phones, and what happens to traded-in devices. We'll let you know as soon as we find out. Alot of companies accross Europe offer a similar service BUT you can trade in your old phone and get credit to use for ANY phone of your choice.. I say much more freedom than having to buy one brand. If Samsung keeps producing phones with no removable battery or SD, and other manufacturers do the same... May as well get a crapple. What is it that Apple has or does better than the current Android selection? If they are now going to this extent, maybe they starting to get even more worried about Android than usual.